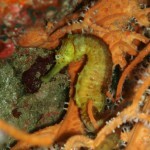 We are fortunate to have much of the marine life that has made Koh Phi Phi so popular for diving. 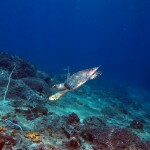 This is in part due to the conservation efforts practiced by the Dive Schools here. 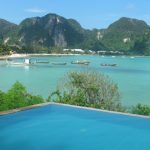 There are around twenty dive schools on Koh Phi Phi with a standardised price system in place for all diving activities. 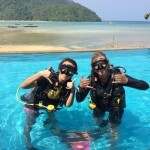 This pricing allows us to maintain high standards in teaching and safety, along with quality scuba equipment. 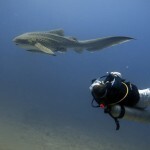 It promotes a sense of co-operation between dive centres, especially in regards to conservation projects. 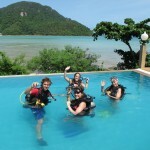 Prices charged are fully inclusive of equipment, scuba tanks, weights, lunch, water, fruit & Divemaster/Instructor guide fees. 7.30am – 8am – Divers meet for coffee and briefing. 8.30am/1pm – Boat Departure! We aim to miss the crowds by getting to the sites when other divers are surfacing. 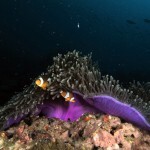 We often get the dive sites to ourselves which means more fish and less divers! 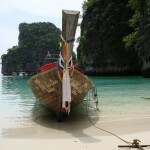 Dive 2 – Phi Phi Ley has many sites, all a little different. 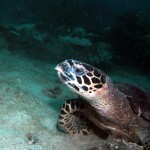 If you see turtles on your first dive we will take you to a good place to spot sharks second, and vice versa! You can ‘Arrive and Dive’ on the same day as you arrive to the island provided you book in advance. Another big advantage is that our divers can explore more of the islands small beaches and bays during surface intervals. 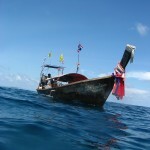 Our experienced captains know the islands like the back of their hand, having driven boats on Koh Phi Phi for many years. This facility allows divers to complete confined training sessions, brush up on dive skills or try Scuba Diving for the very first time! At Blue View we pride ourselves in making diving accessible for everybody. A key part of this philosophy is to provide the correct stepping stones for first timers wishing to begin their adventure into the underwater world. If you have never dived before and are feeling nervous, then why not try it out in the pool first on one of our free try dives! Take your first breaths underwater in a controlled environment with experienced instructors.